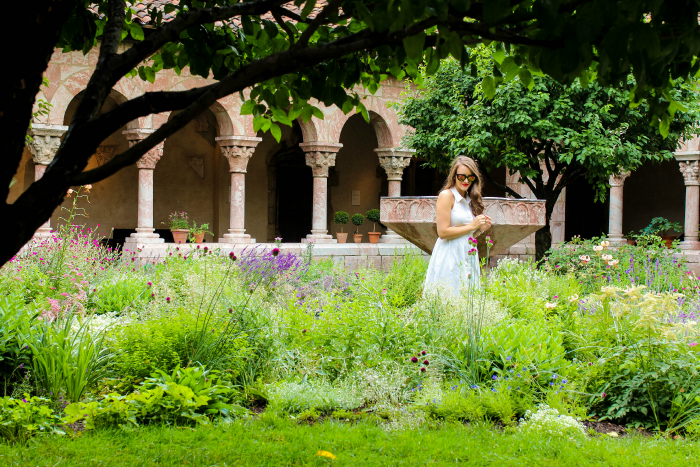 Yesterday I finally checked off a NYC bucket list item: The Cloisters! Every time I head out of the city to Andrew's house, we pass what looks like a castle at the tip of Manhattan. I'm always so eager and curious to know what exactly it is. When my brother was in town this past weekend, he kept telling me he wanted to visit The Cloister Museum and when I looked up what the heck he was talking about it finally clicked! This was THE place. Obviously it was priority No. 1 to go. So we went and had a great time. I'm not a huuugggeee fan of museums so I took in the scenery, which of course was breathtaking. It felt like I wasn't in New York anymore and I loved it! The only problem was it was super crappy out. It was misting rain all day and there was a huge cloud over the city. We went anyway since we only had one day to visit but I'll be sure to go back and snap some photos for you all. For those who have a NYC bucket list, make sure to add this one! You can just take the A train to 190th street and it lets you out right there. It couldn't be easier. 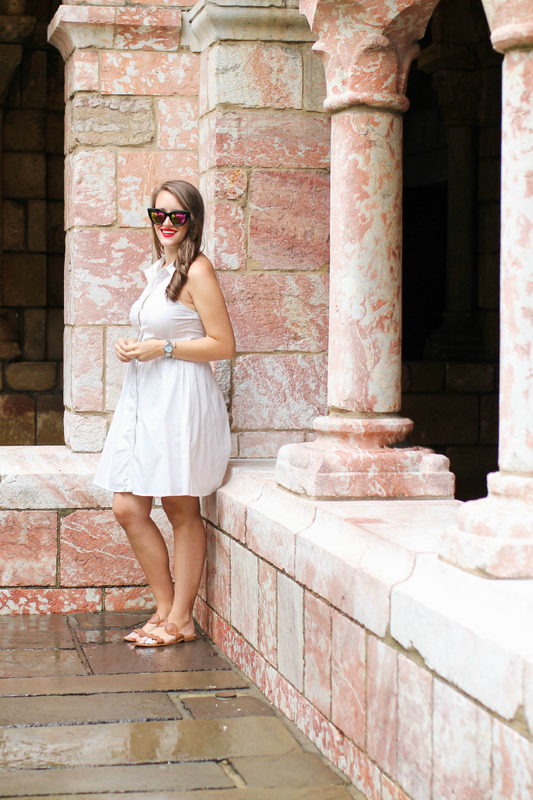 While we were there, I decided to wear my favorite white shirtdress. 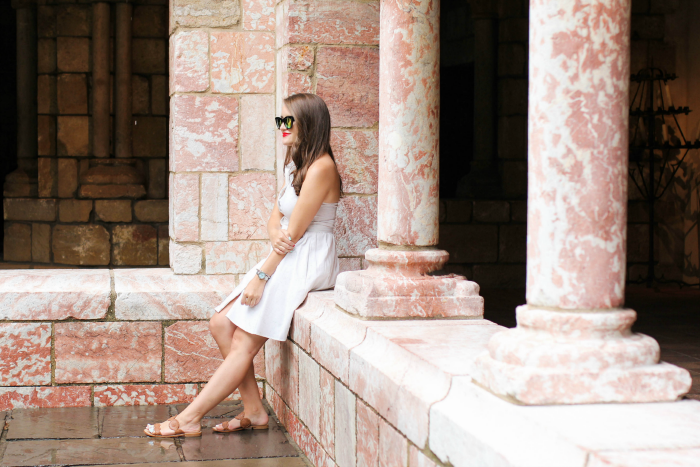 It would have been perrfeeectt for a sunny day at The Cloisters but we can't win them all. To keep warm I paired the dress with a denim jacket. And since we were walking so much I made sure to wear my comfortable Jack Rogers! That location looks so pretty! Those sandals are perfection! And I love that dress! Love how you paired a denim jacket with your dress. 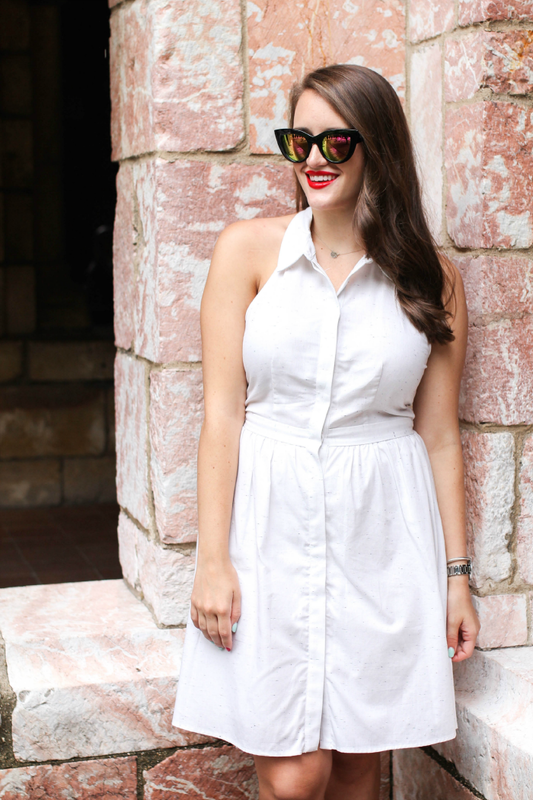 Got to love a simple white shirt dress!! 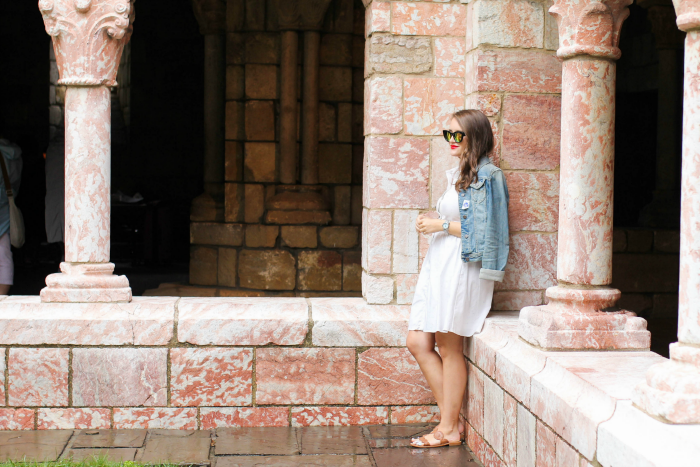 I've always been so curious about The Cloisters since reading 'Tell The Wolves I'm Home'. So pretty!